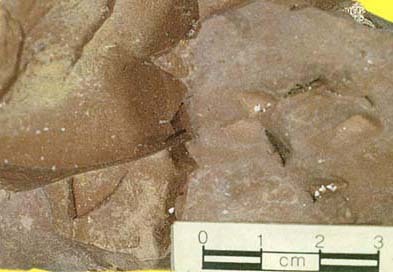 mudstones generally accumulate in low-energy settings but may also be found in higher energy environments where wave winnowing is inhabited by sea grasses that include sea grasses like the modern Thalassia. Wackestone is a limestone composed of mud, but also contains grains scattered through the mud (pictured below). Packstone is a limestone composed of grains with the intervening spaces filled with mud (pictured below). 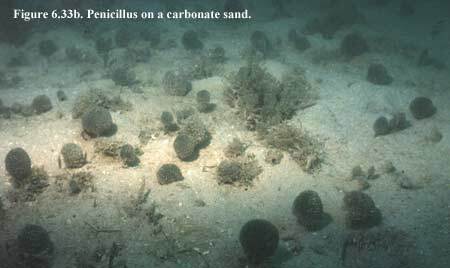 Wackestones and packstones accumulate in moderate-energy warm water environments. They are typically found in semi-protected areas. They are formed of pellets that reflect bioturbation of the inhabiting organisms. 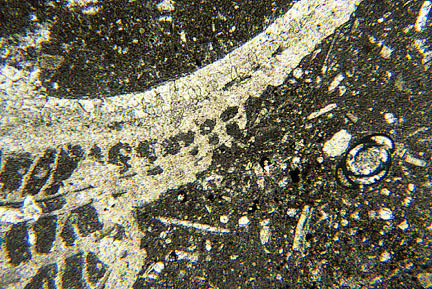 Bindstone form where plants act as baffles to fine sediment or bind the sediment. 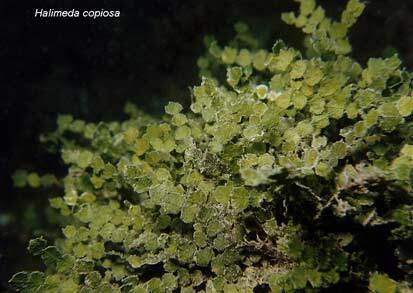 These can be found in both warm and cool waters, and in both modern and ancient successions by examining plants or their fossils, though the latter is much more difficult to identify in the geologic record. 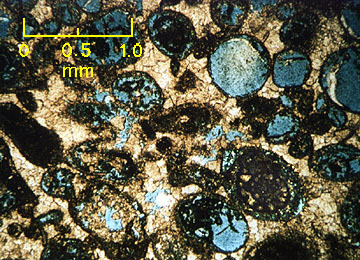 Grainstone is a limestone in which there is no mud and in which the allochems (usually shell fragments or oolites) are in contact and are self-supporting. Grainstones appear in both cool and warm water settings. In cool water settings they are composed skeletal sands of bryozoa, molluscs, brachiopods, and foraminifera, while in warm water settings (under high energy conditions) they are composed of bioclasts, ooids, and peloids. Rudstones are boulder-rich sediments formed by storm activity or the bioerosion of the reef. They are found around patch reefs or behind reefs (warm water settings). 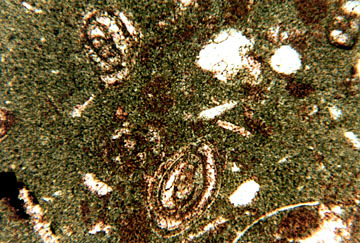 Rounded shapes of the Green Calcareous algae Penicilus in the subitdal Grapestone-carbonate Depositional Setting of Grapestone carbonates.